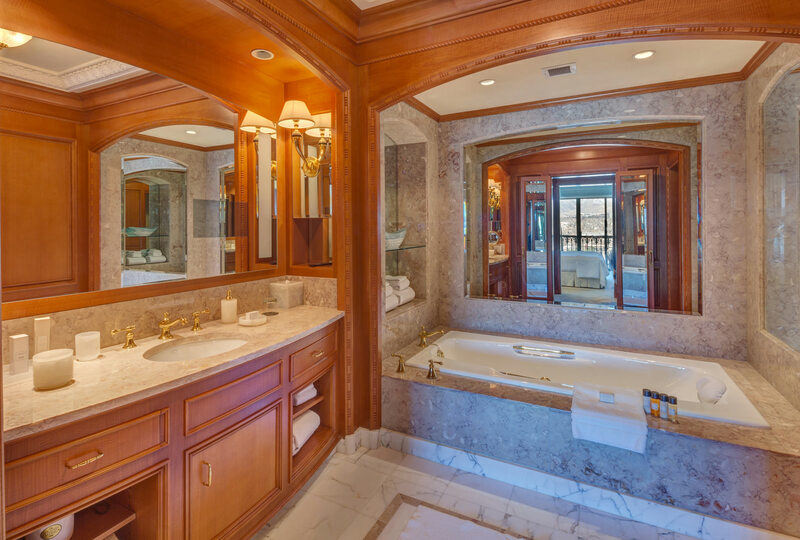 Presidential Suites feature a spacious residential living room, separate dining area that seats eight, full kitchen, separate wet/breakfast bar (equipped with an espresso/ cappuccino machine), and his-and-hers Italian marble baths with whirlpool tub and glass enclosed shower. 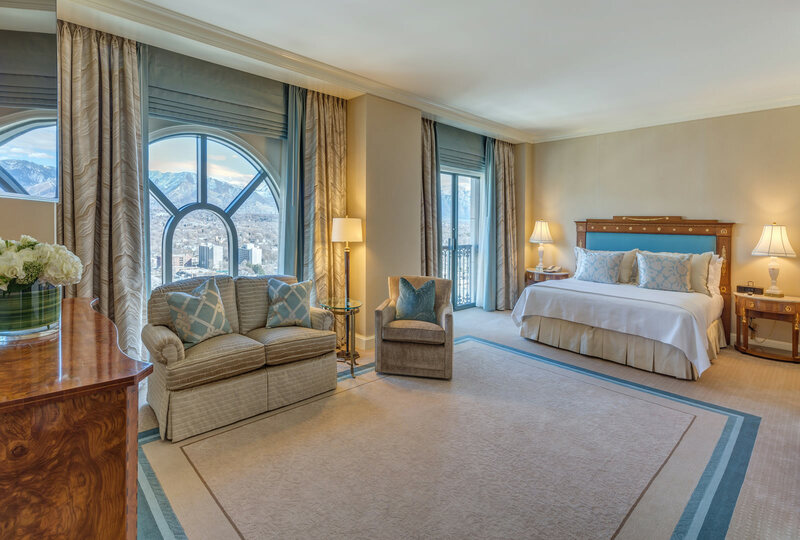 Satisfy your senses with a complete Bose sound system, sumptuous silk bedding, and fantastic views. 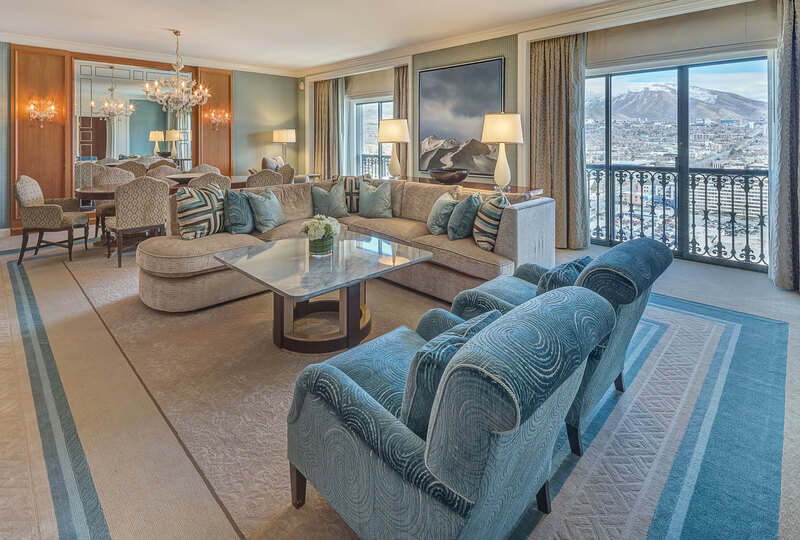 The Grand America’s Presidential Suites: A private world of comfort above the everyday.